Tampa is a great destination for a relaxed family holiday. Its excellent beaches, theme parks, and opportunities to experience wildlife first-hand mean it's popular with adults and kids alike. Tampa has several popular theme parks that’ll keep the whole family entertained. 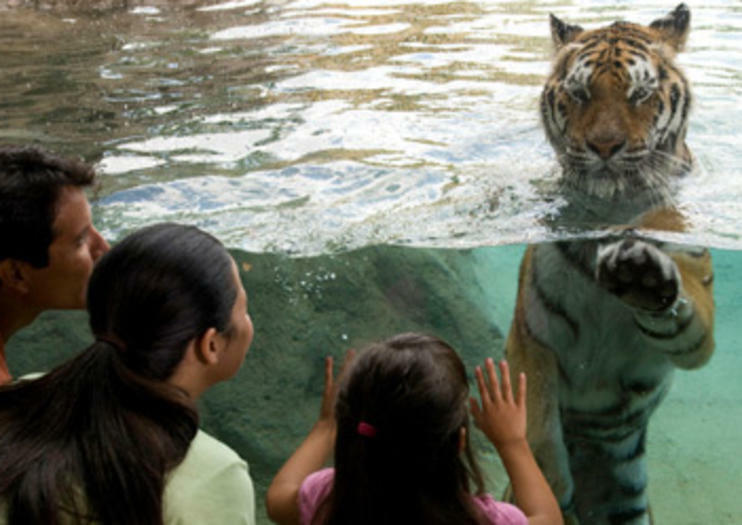 Take your pick from the Florida Aquarium, Lowry Park Zoo or Busch Gardens Tampa Bay. The Florida Aquarium is known for its unique glass architecture and has over 20,000 species of aquatic plants and animals. Lowry Park Zoo has over 2,000 animals and takes an educational approach with its interactive exhibits. African-themed Busch Gardens is a definite favorite with the kids who love seeing the African wildlife and taking a white-knuckle ride on its thrilling roller coasters. The deep-water port of Tampa Bay is home to over 400 bottlenose dolphins and is one of the best places in Florida to view birds and native fish. Enjoy a leisurely cruise of the bay that includes a long lunch or a spot of cruise-ship dancing , or go dolphin spotting on a 72 foot (22 meter) catamaran – the choice is yours! Spend a day at the incredible Big Cat Rescue, a non-profit educational sanctuary devoted to rescuing and housing abandoned or abused exotic cats. Home to tigers, lions, leopards, cougars, bobcats, lynx, ocelots and more, you can tour the center by day (special kids tour on Saturdays) or leave the kids behind and tour the center at night. You can even watch the big cats devouring their daily meat feed (over 18's only). More up close and personal encounters can be had at the Florida Aquarium where the kids can swim with the fishes and mom and dad can swim with the sharks! Experience the thrill of driving a speedboat across the crystal blue waters of Tampa Bay on this guided 2-hour sightseeing tour. Hop on board an F-13 mini speedboat and get ready for adventure. Follow a trained guide in a separate boat with a two-way communication system installed to talk back and forth. Check out the beautiful Florida coast and look for pods of dolphins and other wildlife swimming below or gliding down and around from above. Experience the beauty of a Tampa Bay sunset from the air on this guided helicopter tour. Fly over the waterfront mansions on the Davis Islands toward the city’s skyscrapers downtown. Then, explore Ybor City and the Hillsborough River on the way to Busch Gardens Tampa Bay and the Alafia River. Hover over the Port of Tampa Bay as the sun sets into the water to end the day. It’s a sight for scenic eyes — an unforgettable, bird’s eye view of everything Tampa Bay. Experience the beauty of Tampa Bay and the Little Manatee River from the air on this guided helicopter tour. Fly over the waterfront mansions on the Davis Islands toward the city’s skyscrapers downtown. Then zoom over Hillsborough Bay and Tampa Bay to the Little Manatee River in search of bottlenose dolphins and manatees in the water. It’s a sight for scenic eyes—an unforgettable, bird’s eye view of everything Tampa Bay.